Do Singles Click “Add Friend” on Facebook Before a Date? To friend, or not to friend on Facebook and social media? That question has been brewing for over a decade for singles who are excited about dating someone new. The 2018 Singles in America Study conducted by Match has revealed some social media etiquette rules on how over 5000 singles prefer to connect when it comes to dating in the digital age. With so much information available on the Internet, it’s a piece of digital pie to become a cyber-sleuth. From stalking (we mean searching) on public profiles on Instagram or Twitter, to conducting a google image search, there’s so much we can find out in advance. In their survey, they found nearly 2/3 of singles use social media daily, with both men and women using social media to research their date. Match tackled the question in their study with a pop quiz, asking “When do you hit the ‘Add Friend’ button? While the majority (41%) prefer taking it slow, both online and offline, and say they’d wait until after a few dates, still 19% of singles actually take the leap and ask to become friends before a first date. Let’s keep in mind there’s so much digital foreplay going on with texting, calling, and chatting online, that by the time many get to a first date, they feel like they’ve been dating for a while. Prior to the first date, 20% of singles said they would ‘like’ a photo and 23% would strike up a private chat in Facebook messenger or on Instagram. Similar to those who are quick to click to become friends, 18% say they will only send a friend request once the relationship became serious. After all, if you’re dating multiple people and playing the field, you really won’t want your date to see your whereabouts when you’re not together. The survey showed that singles are most comfortable becoming friends on Facebook (75%) after a few good dates, as well as 36% approve of following on Instagram, lagging with 34% adding on SnapChat, and 40% would tag someone in a post. To Tag, or Not to Tag? When in doubt about posting and tagging, always ask for permission. Remember some people use social media for business purposes, and others don’t want a relationship that could become complicated appearing in the news feeds of their friends. At what point in the dating process would you become friends on social media? Julie Spira is America’s Top Online Dating Expert and Digital Matchmaker. She’s the CEO of Cyber-Dating Expert and has been coaching singles on finding love online for over 20 years. 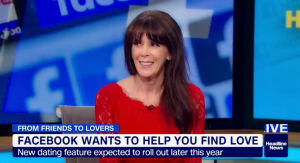 Facebook plays Cupid for America’s Top Online Dating Expert, Julie Spira. Seven years ago, author Julie Spira released her best-selling memoir and online dating book, The Perils of Cyber-Dating: Confessions of a Hopeful Romantic Looking for Love Online, which chronicled her romantic journey while looking for love online. Spira, CEO of Cyber-Dating Expert, was an early adopter of online dating and has been helping singles find love online for over 20 years. New developments in Spira’s love life have sparked fans’ interests and have ignited demands to know how the story ends. 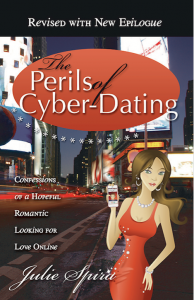 Today, Spira is proud to announce the re-release of The Perils of Cyber-Dating, completely revised and updated, with new dating advice and a magical epilogue that will help readers believe in love. Julie initially went online in the early 1990s where she hoped to replace the former love of her life with an Internet mate. The author wrote about her breakup with her former long-time love in her book, along with the subsequent relationships that followed. Little did she know, the love of her life also never stopped thinking about her. After his divorce, he read her book for the first time and read about their romance, including how they fell in love at first sight 24 years earlier. He reached out to her on Facebook after Valentine’s Day last year. The two reunited for the first time after 16 years apart. Spira is speaking at Digital LA’s Mobile Dating Apps panel in Los Angeles on February 3, 2016. The new edition of the book is available on Amazon, Audible, and iTunes. The author is available to speak on how to make rekindled romances work, how to find love online for Valentine’s Day, best mobile dating apps, online dating safety, and online dating profile dos and don’ts. Julie Spira is America’s Top Online Dating Expert and Digital Matchmaker. She was an early adopter of Internet dating and has been helping singles find love online for over 20 years. Julie is the founder of Cyber-Dating Expert and has been featured over 650 times in the media with her online dating and mobile dating advice. Social media influence site Klout ranks Spira as the most influential person in “dating” and “online dating.” Visit CyberDatingExpert.com. 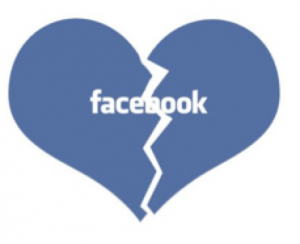 Breaking up on Facebook isn’t a piece of digital cake. The amount digital housekeeping and detoxing from your ex can be overwhelming. Add on top of it, your friends who have watched your courtship dissolve as you changed your status from “In a Relationship” to “Single” may have a lot to say about it. I’ve always said the most powerful status on Facebook is the relationship status. Facebook could be the world’s largest dating site. 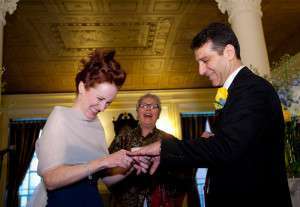 Couples find love on Facebook and many have been featured in Facebook Love Stories. 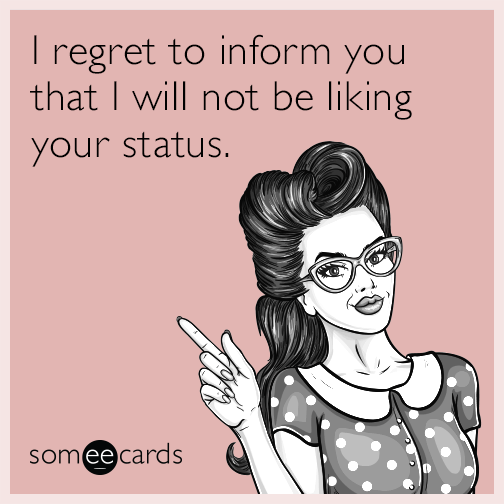 People are obsessed with when their friends change their status. They love to cheer you on when you post photos of your romantic journey together. Since our fascination with the Facebook relationship status will never wane, I was thrilled to see that Facebook just announced a new tool that will help ease the digital pain during a breakup. You no longer have to cut the cord and unfriend or block your ex when it’s time to split up. After all, some people just have a bump on the road and get back together again, so why obliterate your ex completely, especially if it’s just temporary? According to the Facebook blog, these new Facebook tools allow you to see less of your former flame, by preventing his or her status updates and posts to appear in your feed and help you easily untag yourself from photos of the two of you together. I think these are terrific features, as I know many people instantly block their ex, without the ex even knowing so, and then back-peddle and send a new friend request, out of embarrassment, once they’ve kissed and made up. The thing is, do we really need to see what our ex is doing, especially if they are in the arms of another man or woman? How can one move on if they don’t digitally detox from their ex on Facebook? This interim feature is one that I highly recommend and it’s started to roll out on the mobile app. Sure you might hate your ex right away, but if they were important in your life, at some point you and your ex might be able to be friends if both of you have happily moved on with others. I don’t believe in being friends with an ex on Facebook, at least not right away. When a former boyfriend blocked me and unfriended me when we went our separate ways, I thought it was quick and cruel. I did understand that he was trying to heal and that seeing photos of me and us together prevented him from moving on. I actually didn’t really want to see details of his dating life either. We had the talk about what to do on Facebook and mutually decided it was the best way to go. Then one day, he went onto his Facebook page and untagged himself from every photo we had appeared in together and deleted every photo, including group photos. The process took him hours to complete. Had this Facebook breakup feature been in place, it would have saved him and many others the long arduous and painful task of removing the past on the world’s largest social network. Still, for someone with a failed relationship, when they post that they’re no longer in a relationship on Facebook, their friends instantly jump in and want to know why. They’ll get a bunch of digital sympathy, but when you’re in pain, it can sting both online and offline. 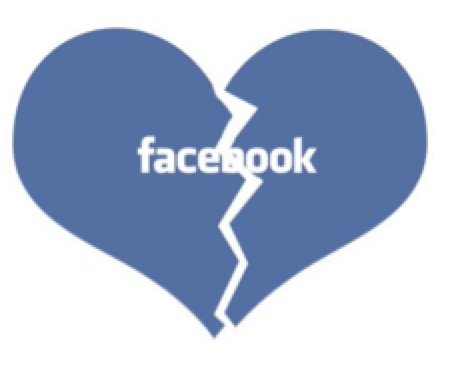 My question to you is, would you use Facebook’s breakup tools or just let the digital chips land where they may? Julie Spira is America’s Top Online Dating Expert and Digital Matchmaker. She’s the creator of FacebookLoveStories.com and helps singles find love on the Internet with her Irresistible Profiles programs and Online Dating BootCamps. For dating advice, follow @JulieSpira on Twitter and sign up for the free Weekly Flirt newsletter. I’ve been dating my boyfriend for about two months. We met online and decided to become exclusive. I took your advice and we both took down our online dating profiles at the same time. Everything seems to be going well so far, except for one thing. I’ve changed my status on Facebook to “In a Relationship” and he refuses to do so. He tells me he loves me and I know he’s not looking for someone else, but it makes me uncomfortable. Why won’t he change his facebook status if he’s proud and excited about our relationship? Should I worry about us, or does it really matter? In today’s busy connected world, becoming “Facebook official” means a lot to some people, but not to everyone. If your boyfriend is connected on Facebook with his boss, clients, or other work associates, it’s likely he doesn’t want to mix business with pleasure. There may not be reason to be alarmed. More often than not, women change their relationship status on Facebook before men do, or if they even the do it at all. Considering he’s your boyfriend and not your fiance or spouse, changing his status shouldn’t really matter. If he has no status at all and isn’t listed as “Single” I wouldn’t be focusing on this one aspect of your relationship. Everyone’s feelings about social media and digital dating vary. Women tend to post more lovey-lovey couple photos on Facebook than men do. It’s how women tick. Enjoy the beginning of your new committed relationship and if it continues to bother you, change your status late at night from “In a Relationship” to no relationship. When the timing is right, perhaps you’ll have a digital celebration together. Meet Patience and Sam who fell in love on Facebook. Over 25 years ago, Patience had a serious crush on Sam. She knew him the class clown and the wildly popular senior who always found new ways to be in the spotlight. By contrast, Patience was quiet and considered more of a wallflower. She thought that Sam was “out of her league.” They two never dated and barely acknowledged each other in the halls. During a formal dance, after her date had ditched her, Patience was shocked when Sam asked her to dance and pulled her into a random picture. They still have that picture. In August 2009, in the ‘Suggested Friends’ section on Facebook, Sam noticed the little redhead as one of his options and “friended” Patience immediately. For Patience, it was a no-brainer to be in contact with such a popular person from high school. She started flirting on Facebook by ‘liking’ his morose status updates. Finally, Sam picked up the phone and called her. Their first phone conversation lasted for over two hours. One Facebook friendship and three months of Skype dates later convinced them there was something there. He asked if he could visit and possibly marry and father her children. Patience said all of her girlfriends thought she was crazy, but she knew there was a connection between them. On December 17, 2009, Sam uprooted himself to go west and saw Patience for the first time in twenty-six years. He ended up staying in New York. On their first visit to his father’s house in Miami, Sam dug out the original picture of them, which he’d kept all these years. They were married on January 16, 2011 and live in New York. Congratulations to Patience and Sam, our featured couple in Facebook Love Stories. Do you know someone who fell in love on Facebook? Finding love on Facebook. Why not? The dating pool there is as large as many countries. Read my latest story on?Huffington Post about two happy couples who found love on the largest social networking site in the world. My personal search led me to a chocolate bar with my namesake. Listen to Ask the Cyber-Dating Expert Radio Show where my guest, Alan Roger Currie, talked about his book, Mode One: Let the Women Know What You’re REALLY Thinking . Currie provided dating advice for men with his four modes of verbal communication from his book. Listen and find out which mode you may fall into and how to make changes to successfully end up in MODE ONE. We also heard from Alan’s girlfriend, Tyler. The couple met in true social networking style on facebook where he took action on his own personal crush and became a facebook dating success story. Find out what Alan Roger Currie thinks about online dating by listening to the radio show. Listen to Ask the Cyber-Dating Expert Radio Show, with my guest, Clara Shih, best-selling author of The Facebook Era: Tapping Online Social Networks to Build Better Products, Reach New Audiences, and Sell More Stuff . You will hear Clara’s expert advice on Love and Dating in The Facebook Era, as well as the learn some important guidelines for successful posting on Facebook and other social networking sites. Are you confused about your privacy issues on Facebook? ?Listen to this week’s radio show before posting that next entry.